Do you have student loans that seem to stretch before your entire lifetime? If something were to happen to you, would your family have enough money to survive? Would you like to buy a home someday, but cannot imagine how you will come up with a down payment? 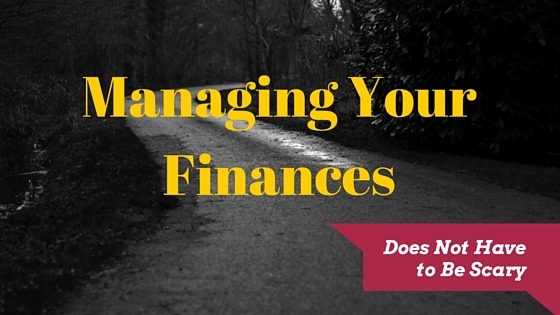 If these, or other financial questions are depriving you of a sense of financial confidence, then read on and learn how taking just a few steps can make a big difference in the way you view your financial situation and how you can become empowered to take control of it. -An unexpected emergency, such as loss of employment, can hamper our ability to pay the debt. -Interest rates are paid on debt, but interest is earned on savings. -Debt is an obligation to pay, whereas savings is flexible and can be adjusted as needed. If it is the stress of a potential debt payment, you can stop counting sheep and simply calculate how much you can afford for the payment, and the period of time that it will take for you to save what you need. For instance, suppose you anticipate getting married in four or five years. The average wedding costs around $27,000, including the costs for catering a reception, hiring a photographer, purchasing flowers, and all of the other extras that make the day special. If you were to opt to finance the wedding, at a conservative rate of around 7%, your monthly payment for a period of 5 years will be approximately $534.63. If you pay each and every payment of the note for 5 years, you will have paid a total of $32,077.94 for the wedding. On the other hand, if you decide to save for the wedding, you only need to save the monthly amount of $449.70. This will result in the total principal amount of $26,982 being accumulated and the interest that the savings will earn will more than bring the balance up to the $27,000. An additional bonus with this plan is that, by paying cash for wedding services, you may be able to negotiate substantial discounts for significant savings. This example I used was for wedding planning, but the theory can be used for any big purchases. The only way to truly pay yourself back, is by saving the money ahead of the purchase instead of on credit! Don’t let big events follow you home! Insurance on all of your assets is a very important step to consider, especially since unforeseen events can cause you to lose these assets if you do not have them insured. It is just as important to make certain that you always keep your beneficiary information up to date on your insurance policies, because as your life situation changes, so do those who need to be the recipients of your assets in the event that you die or become unable to manage your own assets. A good practice is to ask yourself every few years on your birthday, “who do I have as my beneficiary?” Then, follow through and make sure that the correct beneficiaries are shown. By taking these few steps, you may find yourself enjoying greater financial freedom than ever before, and no longer having to second-guess yourself by asking “did I dot my I’s and cross my T’s?” You can pursue the financial confidence that comes from knowing your finances are in order and also protecting your loved ones. If you want to know more, contact me today!